What do cereal boxes, bank accounts, and toilet paper rolls all have in common? They are all disappointing when you find them empty! Think back to that fateful moment you’ve reached into the pantry to quickly nab that scrumptious dessert in a box for breakfast. Do you remember your shock when you found the amount of cereal left in the cardboard would only fill your spoon? Can you remember a time you filled your bowl of cereal only to find your milk jug with an eighth inch of liquid in the fridge? Do you remember how you could have throttled someone at that moment in the morning? Heaven help that dastardly person who neglected to throw the empty box and jug away before I found them! Oh, and we’ll never forget that moment we realize we overspent an empty bank account resulting in extra fees! That same emotional disappointment is what my 5 year old Micah felt at a recent Easter Egg Hunt because his dad forgot the disappointment of emptiness. 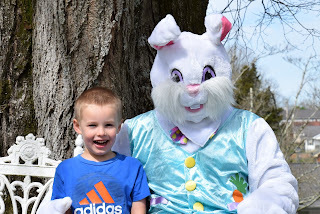 As a dutiful dad attending to my tiny tot at Central Church of Christ’s egg hunt, I worked diligently at pointing out all the stray eggs in the grass that older kids missed, or so I thought. 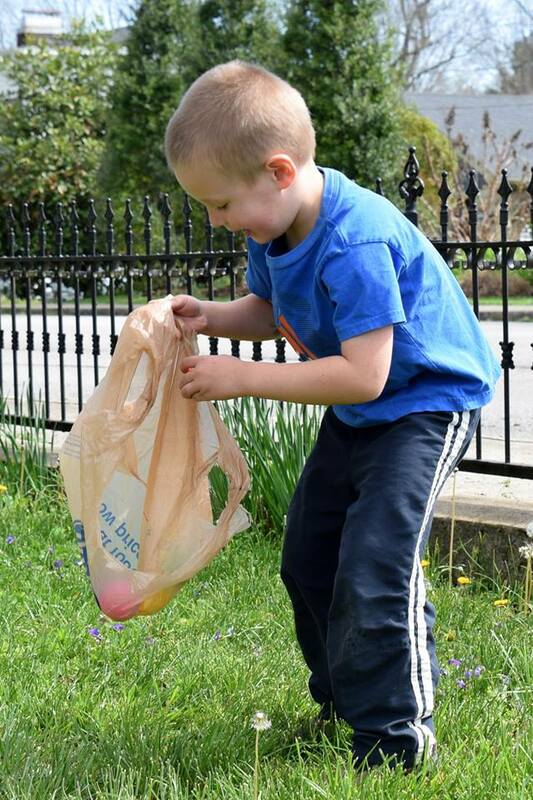 After ensuring the little kids area was cleared, we strayed toward the big kids side and were surprised to find so many eggs left in the tall grasses in the middle of the yard. I understand that sometimes our older kids’ hunting practices take after me in my hunt for my car keys; I can’t find anything when it’s left in the open in obvious places. Yet I was puzzled at the bountiful amount of eggs the more mature hunters left laying in the grass. Micah was excited at the “eggstravagant” booty he pillaged from the older kids, until we began opening eggs. Emptiness hurts. Many of us have experienced that truth the hard way in life. In our daily lives we often find empty things around us that disappoint us. God knows that empty people will disappoint us as well when he warns of the following empty things. Yet there is one empty item in which we can rejoice, and because of it we don’t have to be disappointed by emptiness any more. The empty tomb of Jesus Christ changes our perspective. We rejoice with Mary Magdalene, Joanna, and Mary the mother of James as they reached the tomb with spices and anointing oils only to find no body inside (Luke 23:55-24:10). We praise God for the angel who rolled back the stone and said, “He is not here, for he has risen, as he said.” (Matthew 28:6) We marvel along with Peter as he “rose and ran to the tomb; stooping and looking in, saw the linen cloths by themselves.” (Luke 24:12) Paul praised the emptiness of the tomb when he said “If Christ’s tomb is not empty, then our preaching is empty and your faith is also empty!” (1 Corinthians 15:14) We exult in the Lord Most High that finally, we can find peace and joy in something that was empty: the empty tomb of Jesus! Yes, life may bring you empty cereal boxes, empty people, or even some empty Easter eggs, but we can bear it all because God has given us the Spirit of a man who rose from the grave, leaving an empty tomb! May you be blessed because of the tomb’s emptiness this Easter weekend! 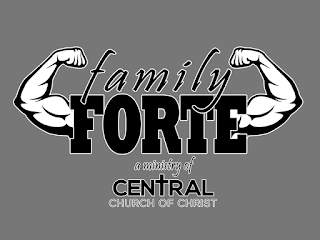 The word “forte” comes from the latin word “fortis” meaning strength. 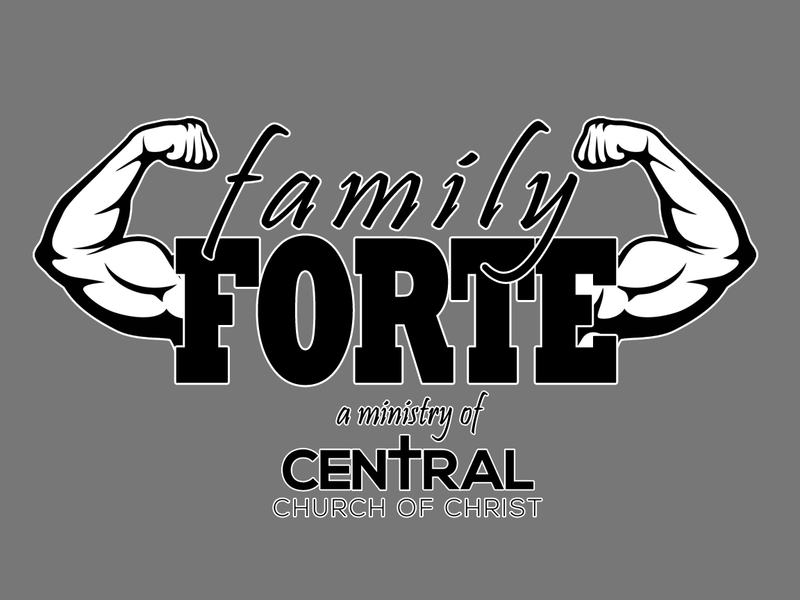 Our weekly Family Forte article in The Expositor is the effort of family at Central Church of Christ to give your family the love, care, and attention it needs to become a stronger version of itself. 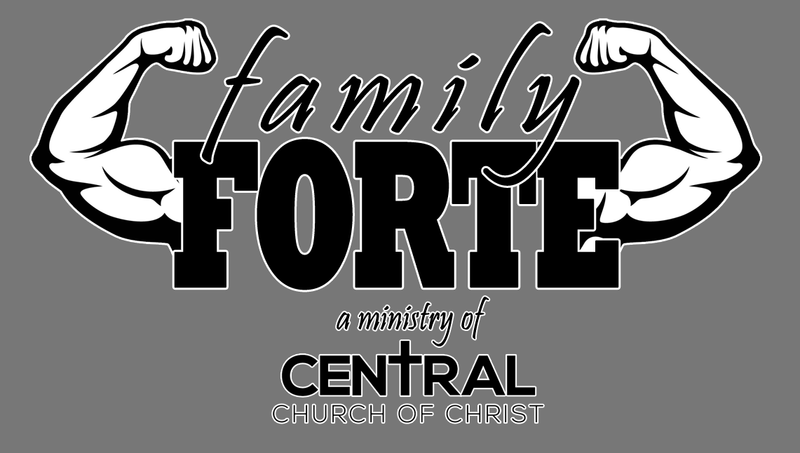 If we can help you in any way, please contact us at Central Church of Christ through email, topherwiles@spartacoc.com, or through our website, www.spartacoc.com. “What did you say?” asked the shepherd. I wish someone would have herded me, bossed me, or at least given me a set of rules to live by for my Senior Prom, because under my own guidance, it was awful. Yes, I was a straight “A” student. 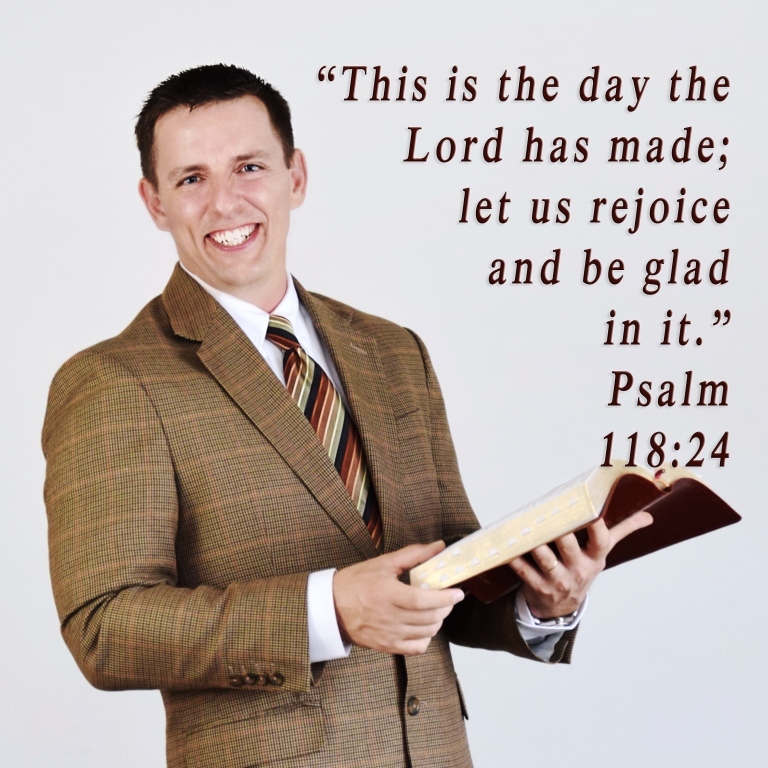 Yes, I had been going to church for a year and was a born again Christian. Yes, my teachers, coaches, and parents thought I was reasonably smart and could navigate my life since I would be turning 18 just a few days after prom. Yes, they were all wrong. My prom was awful. I was an idiot. I needed guidance and here’s why. Mediocrity summarized what I brought to the relationship table in high school. I was a good athlete, but not stellar. I was an “A” student, but not the top of the class. My family wasn’t rich, but my job at the pharmacy gave me some coins in my pocket. My car wasn’t loud, raised, or lowered, but at least I had one. Being a new Christian, I was kind of in between social networks, so I was still finding my way within a new group of friends. Spring of 1997 saw this middle of the road kid in between girlfriends before prom. Dana was a good girl (names changed for anonymity) in my senior class who also found herself dateless before prom. I can’t remember the exact circumstances, but I remember a mutual agreement that would go together, enjoy one of the big nights of our senior year, and the rest would be history. RULE #1 – Don’t dump a friend right before prom. Along came Amy (name changed). She was an eye-catching freshman who suddenly showed a lot of interest in mediocre me. Just a couple weeks before the big dance, Amy turned the flirting on. Girls, you know you can nab most guys by laughing at all their jokes, giving well-timed hand touches in the hallway, and dropping sweet little notes in their locker. Long story short, I dumped my senior friend Dana for this freshman fox who was infatuated with me. Just…a…week…before…PROM! Ever the “gentleman,” I dropped the $40 for Amy’s ticket, took my date to a nice dinner, and whamo… pretty much didn’t see her the rest of prom night. She ran off with a group of girls and never even danced with me. Yup, Amy never wanted to be with me in the first place. As a freshman she just wanted to go to Prom, and I was her vehicle. Anger, hurt, and resentment are the feelings I still remember 22 years later. I’m sure Dana felt the same toward me since she ended up with her older brother escorting her to senior prom. I admit: I was naïve, I was a bad friend, and I was an idiot. I needed a mentor. I needed a shepherd. I needed someone to lay down some guidelines for me at my Senior Prom to steer me toward having a great night with good friends. For those seniors in White County and beyond, here are a few guidelines from me to help you have a great Prom night. RULE #1 you’ve already read. Don’t dump your friend right before prom. Enough said. 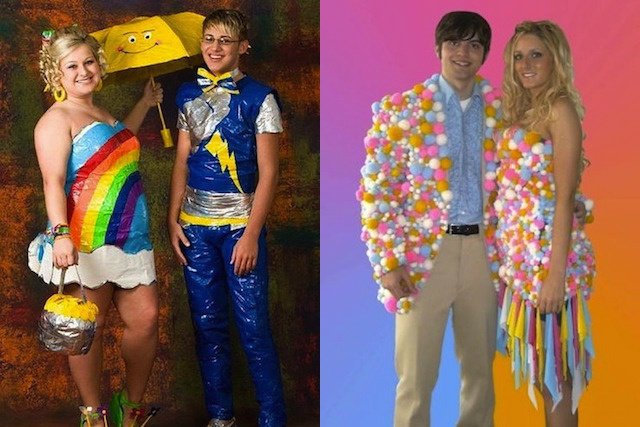 RULE #2 – You don’t have to go to prom. I’m over 20 years past my junior and senior proms and no one really cares if you were or weren’t there. Life in Christ doesn’t revolve around Prom. RULE #3 – If you go, set a reasonable budget. Due to the magazine hype and media frenzy, people spend as much as they would for a wedding on this night of senior year. Trust me, you don’t have to have that “Dress So Hot It Sizzles,” that coveted Stretch Limo, or a $100 meal. Set a budget you can enjoyably afford and stick with it. RULE #4 – Men, dress respectfully. Ladies, dress with class. The classic tux/suit and modest gown never go out of style. The best part is, you can enjoy the pictures 20 years later without cringing. RULE #5 – If you’re dancing, groups are the best. Especially remind the young ladies that touches beyond their normal personal boundaries aren’t allowed from boys just because it’s prom night. RULE #7 – Parents must OK any after Prom activities. With the heightened excitement of prom night, teens don’t always make responsible decisions. Since prom is touted as a time to self-indulge by media, risky behaviors may be harder to resist. The grim reality is that over one-third of all alcohol-related traffic deaths among teens occur during the prom/graduation season (from focusonthefamily.com). As a parent, it is still your responsibility to know where your teen is after the prom. Ask the following questions, “Is your party/event/activity supervised by an adult?” “Will there be drugs/alcohol present at this event?” “Is your date going to pressure you into doing something we don’t approve of?” Set the expectation for behavior from your teen and stick to it. “You herd me,” said the sheep. In our teenage years we all need “herding” and guidance. A good mentor or guide could have helped me and “Dana” enjoy our senior prom much more. Teens, follow these simple rules and ask your parents and mentors if they have any guidelines to add to it. If you don’t have anyone else you feel comfortable asking your questions to, then email me with Family Forte at topherwiles@spartacoc.com. Class of 2019, enjoy your senior year! “What the hick?” is a question that caused me to face-palm at 2am. At this moment, you might be wondering the same thing as me. What did my two year old girl say? Ashley had asked Clara to repeat that utterance and sure enough, “What the hick?” is exactly what my sweet little girl meant to exclaim. After being positive of what she said, as parents, we began our super-sleuthing role of ascertaining the origin of her words. We have no problem with any of the three words. “What?” is an interrogative question that we generally encourage. I’ve already used the definite article “the” five times in this writing. And let’s face it, I’m a Tennessee boy who has at times epitomized the word “hick.” We don’t have a problem with the words themselves, but where did Clara learn to string them together into this specific usage? While I fell asleep quickly, my mind continued its detective style work well into the dark recesses of the night, waking me when with a fuzzy dreamy image of a red-bearded guy wearing a “DP” t-shirt yelling, “What the hick!” in my face. 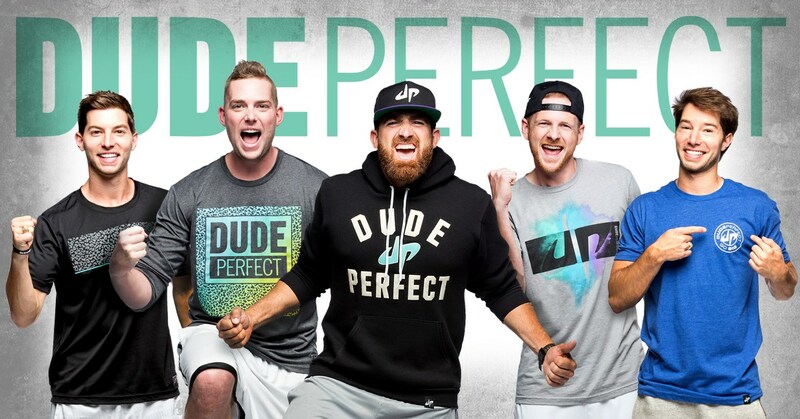 That’s right, I awoke dreaming of Tyler from the hit Youtube channel, “Dude Perfect.” These trick-shotting sports junkies are so popular that you can buy their brand specific football at Walmart. 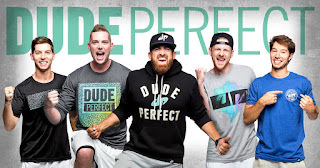 My boys and I have been following the five man Dude Perfect crew for about five years, ever since their hit video, “Pickup Basketball Stereotypes” saw me laughing hard enough to spill milk from my nose. 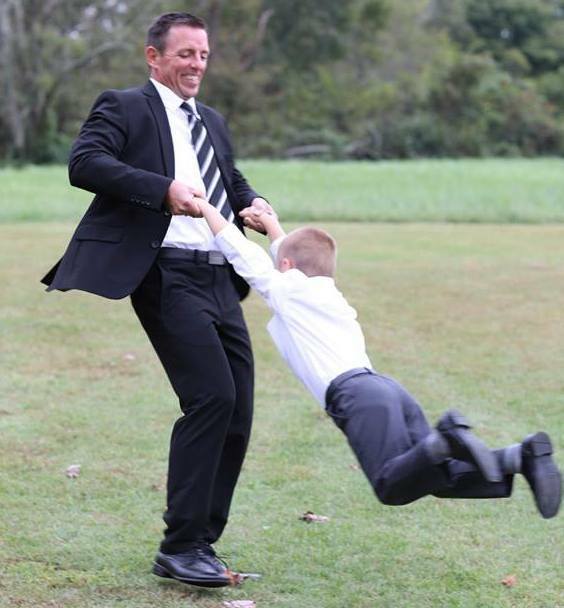 Yes, sometimes these goofball guys get a little crazy with their antics. Yes, their funny usage of odd words gets a little more colorful than I want for my two year old little girl. Yes, it is my own desire to watch Dude Perfect videos that allowed the phrase, “What the hick?” to creep into Micah and Clara’s vernacular. Thus my 2am face-palm. Please understand that I don’t blame Dude Perfect for their influence on my little girl. Their crazy antics and colorful wording reaches their target audience of 13 to 35 year old males very well. It isn’t their fault that I have seen every single video on their YouTube channel, all 202 of them. It was my desire for something a little more mature that influenced my young children. This isn’t the first time we have had to reassess our pleasure watching habits and the influence they have on our family. Thirteen years ago, we gave up our TV. That’s right, we cleared the spot on our living room tv-stand around the time Google bought Youtube, Nintendo launched the Wii, and Barry Bonds broke Babe Ruth’s home run record. It was my beautiful bride who first suggested we unplug as our evening viewing pleasure consisted of a steady diet of “Friends” reruns and the hot new show, “How I Met Your Mother.” Ashley’s question, “What do you think of getting rid of the TV?” was probably met with a responding question similar to “What the hick?” I’m grateful I followed my wife’s suggestion (admittedly after much initial protest), and we’ve never looked back. Plenty of others have questioned our sanity. Some people thought we were crazy when they heard we were TV-less in our home. “How will you get the news?” “How will you know the weather forecast?” “If tornados come, are you going to be safe?” Even at church, people were concerned with our decision to get rid of the TV. Some well-meaning friends claimed we’d be sheltering our kids too much without TV. 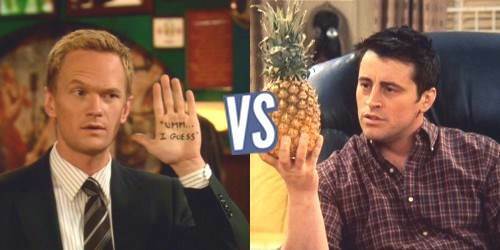 If making sure our children’s role models aren’t Joey Tribbiani and Barney Stinson is “sheltering”, then I think sheltering is a wise choice. Unfortunately, with the rise of personal mobile TV screens called SmartPhones, I’ve seen some of my valuable time waste away and some of the cultural influences creep back in. According to www.recode.net, the average person is spending over four hours a day on their smart phones, and I’m probably one of them if Dude Perfect’s influence on my 2 year old is any indication. With all the current data documenting the negative influence of screen time on physical, emotional, and spiritual health, it’s time to reassess my time investments. I think I’ll start making my changes by deleting the Youtube app. 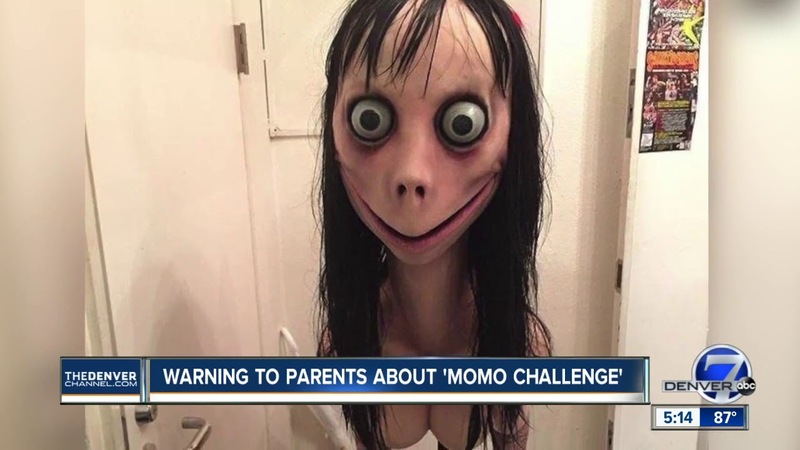 With all the recent international buzz over the creepy and suicidal “MoMo” influence on our children today, deleting Youtube from my personal mobile device may be one of the best things I can do for my family. 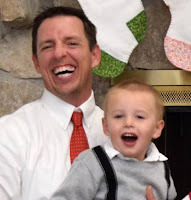 Whether it’s the influence the world is having on your precious children or an honest self-assessment of how you’ve been investing your time, I invite you to join me as together we strive to invest the best in our families. E-mail me at topherwiles@spartacoc.com if you’ve got a idea for wise time investment suited for a hopeful hick like me. For further reading check out the New York Times article: How to CutChildren’s Screen Time? Say No to Yourself First. “Ogre” is Cameron’s nickname, affectionately given by his teammates on the White County High School Warrior baseball team where I’m honored to serve on the coaching staff. Why “Ogre?” It could be the 6 foot plus frame that looms at you from first base or it might be the no-nonsense scowl he wears consistently on the field. Yet I think he’s given the moniker “Ogre” because everyone knew he had the potential to blast two powerful homeruns in one game, wielding his bat like a deadly caveman club. 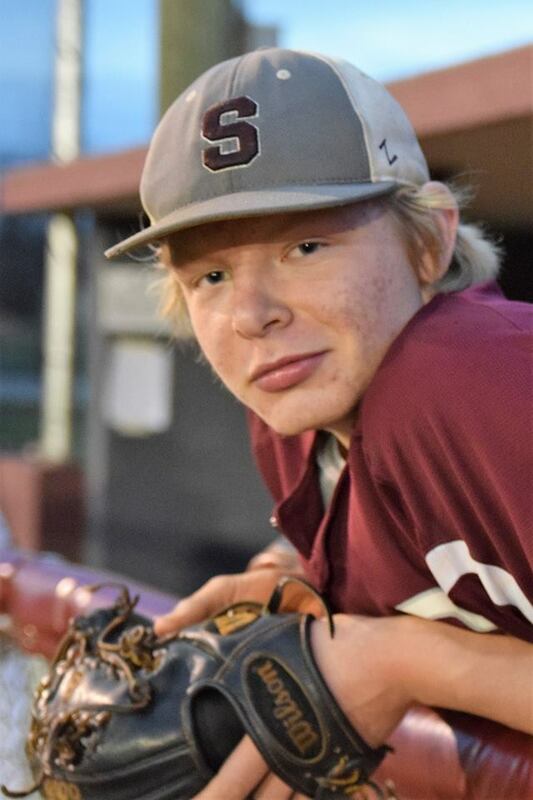 Thus we witnessed the heartwarming progress toward the potential of Cameron Beasley on Tuesday night in Crossville as the Warriors trounced district opponent Stone Memorial Panthers by a score of 11-0. 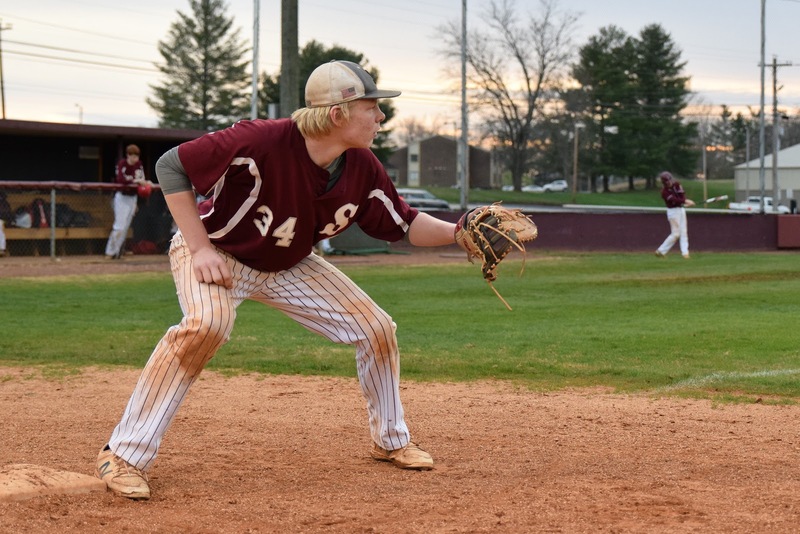 For a full recap of the game, visit the news section at www.wchswarriorsbaseball.com. But this message isn’t about baseball. It’s about the need for teachers, coaches, and fathers to understand the often overlooked concept of development. Unfortunately, at times I’ve fallen guilty of expecting the same perfection out of my own children. Even more depressing is that I’ve witnessed my older children struggle with the same perfectionistic treatment of their siblings. We’ve all seen that teacher who is impossible to please unless you are hitting a perfect test score. Coaches consistently berate players, as they “just want them to reach their potential.” Parents give no praise for development but only criticize performance, making that car ride away from games seem like forever in the eyes of a developing child. I wonder what would have happened to Peter, the great church leader of the first century, if Jesus hadn’t recognized him as a developing disciple in his three-year earthly ministry? Would Peter have preached that life changing sermon on the day of Pentecost (Acts 2) if Jesus would have scowled and berated him when he looked that the wind and the waves and fearfully began to sink after walking on water (Matthew 14:30)? Would Peter have faithfully healed the lame man in the temple (Acts 3:7-11) if Jesus had severely punished him for his denials (Luke 22:61) instead of using those mistakes for his development (John 21:17)? Would Peter have chosen to be something different than the peaceful apostle of Jesus Christ (1 Peter 1:1) if Jesus had disavowed him rather than developing him for Peter’s passionately mistaken rebuke of Jesus (Mark 8:32)? Yes, Peter made some big bumbling errors as recorded in history by multiple witnesses, but Jesus knew how to best develop Peter into the future church leader that has changed our lives today. Here are a few development-focused ideas from the heart of a father, teacher, and coach who is still developing toward my own potential. 1) Just as Jesus knew that people are imperfect, so we too need to remember that our young learners will make mistakes. Often we forget that we too missed some easy problems on our math tests. Our vision of days past are foggy as we forget that we were also kids who struggled with our anger, our words, and our work-ethic. Our remembrances often dwell on our glory days smacking homeruns, rather than on our many groundouts, pop-flies, and strike outs that led to the monumental moments. Don’t expect them to be perfect, but do give them attainable goals of developing from their mistakes. 3) Just as Peter has patience with erring Christians who are struggling in their faith (1 Peter 2:1-6), so we also need to be patient with the ups and downs of the progress of our learners knowing that patience, rather than expecting perfection, is one of the best tools we have in our progress toward maturity (James 1:2-4). I thought about these things when I witnessed senior Cameron “Ogre” Beasley hit his first homerun of his high school career on Tuesday night in his first at-bat. He then walloped his second homerun on a 0-2 count in the top of the third. His third plate appearance, though, saw a strikeout that might draw harsh criticism from others. “Ogre” if you’re reading this, know that the WCHS Warrior Baseball staff is proud of you and the progress you’ve made. You’ve come a long way from the one-dimension frustrated hitter you used to be. That strikeout is evidence that we’ve got some work still to do, so continue to learn from it and grow. Your future looks bright in baseball, in life, and in heaven as you continue to develop toward your potential in Jesus. Life with four children and multiple volunteer committments can be a little hectic and tiring, but absolutely wonderful if we keep our focus. This past Saturday leaped off the blocks with a blazing start. The Warrior Senior Project 5k Run with Gabriel and Ethan became my first hurdle toward the main event for the day. The rain let up just enough for me to exhaust my legs on White County hills in an effort to support our seniors and earn some new hardware to hang around my neck. From there I dashed over to our church for Central’s children’s ministry event, Pancakes and Pajamas. While I stuffed my belly with pancakes and filled my heart with children’s conversations, my legs were growing sore. When the pancakes were gone, field maintenance and throwing batting practice with the Junior Varsity Warriors Baseball Team left the rest of my body stiff and feeling done for the day. However, I still had an errand run in Cookeville with Micah before the focal point of my day. 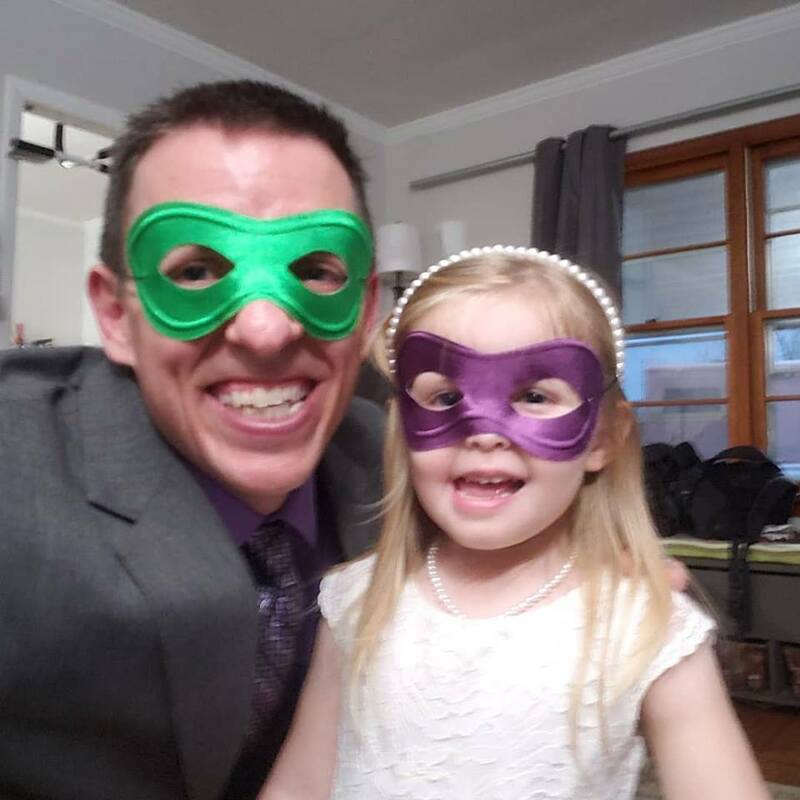 By the time I was getting dressed for the Daddy Daughter Dance with Clara hosted by the Sparta Rescue Squad, my legs were screaming at me and my throwing arm was protesting while tying a tie. The rest of my body agreed, it would rather have gone to bed than to have this date. 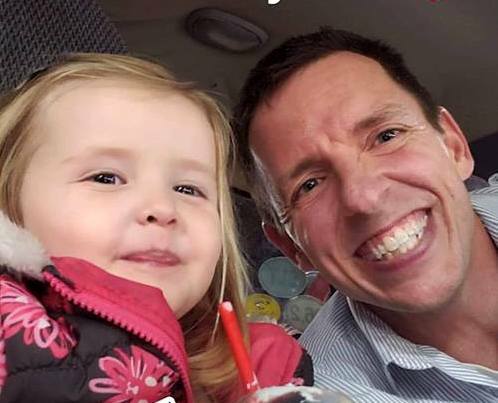 Yet, this date with my daughter was worth it all as she melted my heart and we grew our love for each other. How can you grow your love? Here are two quick ideas that worked for this dead-tired dad. 1) DISCARD DISTRACTIONS - Like herbicide sprayed on a prized petunia, distractions can kill the growth of love with your child. The Daddy Daughter Dance began with a long line for photos and meal. While waiting in line with Clara I took out the cell phone to snap a couple quick photos of us in our masquerade attire when she started spinning her dress to the music. After a short video to show her mother, the cell phone went in the diaper bag slung over my shoulder. After all, I was there to have a date with my daughter, not focus on social media. Sadly, some of the dads in attendance didn’t get the memo. I witnessed some fathers thumbing through social media while their daughters ate their meal in silence. I saw dads gathering around the water cooler like break time at work while their dearests earnestly watched and waited at the table for their return. I looked on as men moved through the motions of a date while their daughters dreamed of having their full attention. I’m grateful to say that the majority of men in attendance were active participants in growing their love by putting away all distractions and focusing their conversation, attention, and efforts toward their darling daughters. That daddy attention acted like fertilizer in the relationship. Growing love toward your child involves putting away distractions that act like an killing spray to a blossoming flower. 2) LISTEN AND WATCH - Growing our love takes a focus on our listening skills. As a doctor focuses his listening skills through a stethoscope, so we focus our attention on the desires of children’s hearts. For tonight, my stethoscope was watching Clara’s eyes. When her eyes darted toward cupcakes I let her know that it was ok for us to eat dessert first on our dinner plates. When those beautiful blue eyes wandered to the dance floor, I knew it was time to be finished with food, and wander along with her. After an hour of dancing (my legs were still screaming at me, my throwing arm still protesting), her gaze fell on the balloons being bounced around the floor by the other girls. I knew it was then my time to play “bounce the balloon” with my giggling daughter. When her weary eyes finally shifted toward the door, my listening stethoscope told me my two year old darling had enough energy for one night and was ready for winding it down at home. Listening to her heart by watching her eyes helped grow our love as I was able to continually give her the attention and activities she desired. THE RESULTS - I was blessed by discarding distractions and listening to her heart through a night filled with unforgettable smiles, sweet butterfly kisses on the cheek, and those special “I love you” words dropped in at the most opportune of times. I vividly remember spinning Clara with her flaring dress around on the dance floor while her head was tilted back, eyes closed, and that beautiful smile beaming bright. You might say, “She’s only two – she won’t remember the date later,” and you’re right: she won’t remember the specifics of our evening a few years from now. But what she will know is that her daddy loves her and cherishes her and treats her with care and respect. Winning her heart now lays a firm foundation for the sometimes shaky adolescent years. Even when she faces changing hormones and sometimes-fickle peer groups, she will have the safe sturdiness of her father’s love to support her. Fathers, it isn’t always easy (especially in the midst of a full schedule and an aging body) to take the time now to show your children that they are important and loved, but you can still do it by discarding distractions and listening to their hearts. Strive to let them know that your love is gentle and tender as well as dependable and strong. You’re laying the groundwork now for a strong future for your children. The word “forte” comes from the latin word “fortis” meaning strength. 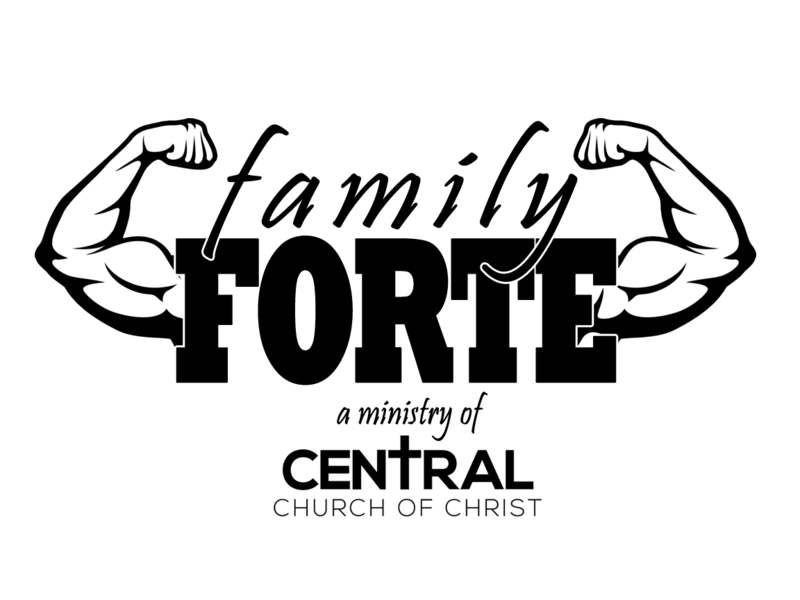 Our weekly Family Forte article in The Expositor is the effort of family at CentralChurch of Christ to give your family the love, care, and attention it needs to become a stronger version of itself. 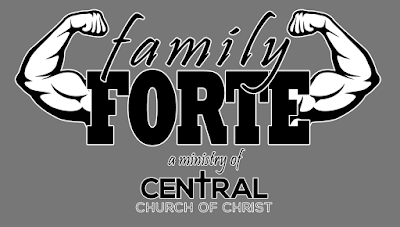 If we can help you in any way, please contact us at Central Church of Christ through email, topherwiles@spartacoc.com, or through our website, www.spartacoc.com. Do you remember Robert Fulghum’s ideas from his book “Everything I Need to Know I Learned in Kindergarten”? These great tips inspire, remind, and redirect us to some of the most important concepts in life. Some of those worthwhile truth tidbits include: “Share everything,” “Play fair,” “Say you’re sorry,” “FLUSH!” and “Warm cookies and cold milk are good for you.” Since I’m nearing 40 years old and can’t remember the deep truths of my kindergarten years, I have to work with what is nearer in my addled memory; the Championship tournament game in Vision basketball league. In my 25 seasons of coaching, I’ve never personally witnessed a climatic movie-style moment like this. If the Vision League is new for you, here’s a little info. Imagine a normal basketball game where the parents aren’t allowed to yell obscene comments to the referees. Picture hoops where opposing teams go out to eat ice cream together afterwards. Consider a game where each player gets the same amount of periods of play every time. Meditate on basketball where each game and practice includes a spiritual devotional from coaches and parents. Imagine a league where the most desirable award isn’t an MVP, but the “Christ Like” award. Now you have the backdrop for the Church of Christ sponsored Vision Basketball League and our monumental moment. Our team with bright orange jerseys had a lot of heart but got off to a slow start. While other teams focused in on specific plays in the first practices, because of our lack of raw talent, we needed desperately to work on the fundamentals. Passing and dribbling, dribbling and passing, over and over again became the thrust of our practices. Even though we lost a tight first game, it paid off because we could proudly proclaim that all of our players were credited with an assist. It was a proud moment for a coach. Yet an even prouder moment would come. It was the last game of the regular season, and after going through the stats, our coaching staff realized only one player, we’ll call him “Paul”, hadn’t scored throughout the entire season. He had a few opportunities, but it seemed the foul shots always fell short, the defenders were always too quick to block, or the rim was just too unforgiving for Paul to get his first ever bucket in the Vision League. We were blessed with a sizable half-time lead, and the team agreed on one primary strategy: “Get Paul the ball!” Try as he might through two periods and an overtime, Paul just could not get that orange ball to fall through the hoop. That last period was rough. Paul tried shooting repeatedly only to have bricks rebound to the other team, shots blocked by players a head taller than him, and his screens knocked over or avoided. With 1.1 seconds left on the clock, losing in the final period, and our team being awarded an inbounds pass near our basket, the hopes of our team rested on one final chance. Yet our players, most importantly Paul, never gave up hope. The referees, opposing coach, and parents in the stands had caught on to what we were trying to do. All eyes were focused on Paul on the final play of the game. It was as if all the collective hearts in the gymnasium were bonded together, willing him to success. Tension was building. Moms were wringing their hands. Parents were shouting words of encouragement during the timeout. Coaches gave knowing glances. Referees nodded in approval. The play aptly named “The Wall” was called. A triple screen of our tallest players was set at the edge of the paint. Paul found his position 15 feet from the basket near the baseline. Our point-guard put a perfect bounce-pass into Paul’s hands right at his chest. Legs flexed. Wrist snapped. The ball arced high. Nothing but net as the buzzer sounded. Paul was humble as the entire gymnasium erupted with cheers. 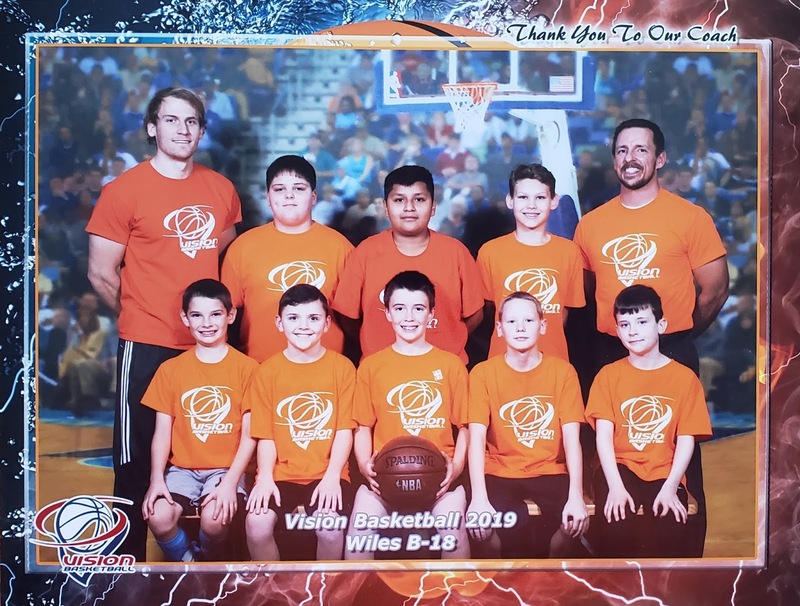 The better team won the championship last week in the Vision Basketball League, a recognition they rightly deserved. Yet the kids with the bright orange jerseys won admiration from their peers, coaches, parents, and referees for their unselfish play. Every team member scored, assisted, rebounded, and stole a turnover this season, which draws a big smile on my face as I look back. More importantly, I learned some deep truths about life and church this basketball season. Playing games is best when you’re playing with friends. That’s why God gave us the Church. There is no “I” in TEAM. That’s why God’s Church gives everyone a role. Life is bigger than basketball, but I’m grateful God uses games to teach us so much. At a whopping three days old, I was at the Union Hill drag strip in Nashville as my dad and uncle raced their 1968 Nova and 1969 Camaro. It’s hard to express the emotion I have toward those cars. I know, I shouldn’t get that attached to inanimate objects. I know, it’s weird that I can just see a royal blue ’69 Camaro and my eyes get misty. I know, my attraction to the sound of a revving and unmuffled 454 Chevy big block borders on being an unhealthy obsession. I was heartbroken as a twelve year old testosterone-driven boy when my family sold both cars. 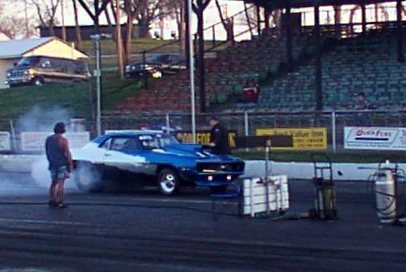 I cried when both the beloved Camaro and Nova were loaded on trailers and hauled away. My seventh grade maturity certainly didn’t understand what a sacrifice my dad was making for me, and for a time, I resented him for it. My dad and I had spent each warm Friday night at the Clarksville Speedway, each Saturday at the Music City Raceway, and each Sunday morning at the Crossville Dragway. Those weekends had rapidly dwindled as I turned 10 years old and became interested in baseball, tennis, and basketball. Saturdays throughout the years changed from watching dad burn rubber to him watching me pitch on the diamond. No longer were Fridays spent tuning up the engine in the garage. Now we were spending money tuning up my hitting technique in the batting cages. When dad made that huge sacrifice of selling the cars that had been such a big part of his life, I was understandably grief-stricken at losing the cars I had hoped to drive myself. Little did I know that dad sold the cars to pay for my hotel rooms at all-star tournaments, my pitching lessons with famed coaches, and my desire for higher caliber baseball bats. Sacrifice was a word I understood so little about. Fast-forward to 2016. 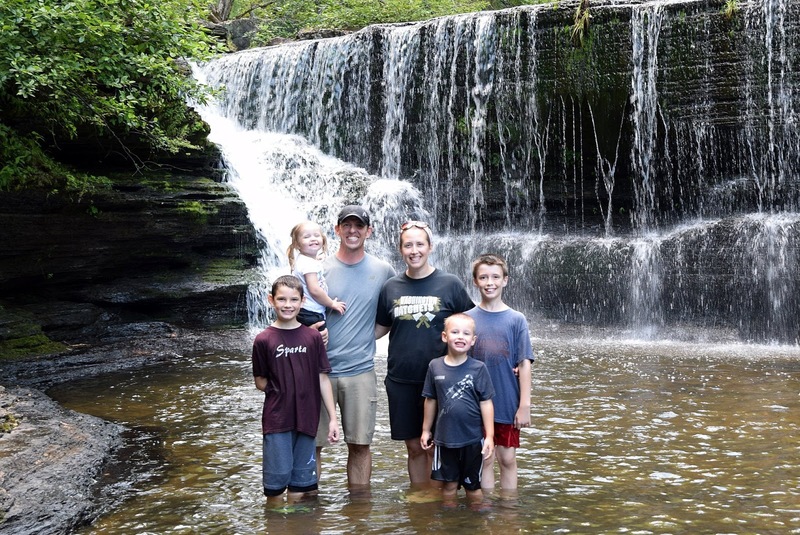 The Wiles family was nestled into a small community in southern Indiana. They still said “yall” and served good sweet tea, so we felt right at home. I was finding great success serving as minister for a congregation in need and as a leader of several community organizations. Our family was deeply involved in the local homeschool group, enjoyed a vibrant social circle, and had just bought our first house. We were enjoying God-given success in many areas when we encountered that dreaded word: sacrifice. Merriam-Webster’s definition of sacrifice reads this way: “the destruction or surrender of something for the sake of something else.” My wife, kids, and I felt the pain of uprooting the life we had built when we moved back to Tennessee. Gabriel and Ethan took it especially hard as they traded their comfortable home with so many friends, neighbors, and church family for living in an cramped RV in unfamiliar Bear Cove. The move would prove to be tougher than we knew, but it was all worth the sacrifice. What would make us uproot and move our family to unfamiliar territory? It was sacrifice. The man that sacrificed his dragsters for his son’s baseball was now in need of my sacrifice. My mother had just died, and my dad had suffered a stroke. The neurologist said those dreaded words: “He’ll likely never recover from this one to regain full functionality in life.” My dad was in need of someone to help take care of him and keep him living independently in his own home. Thus my family chose to “surrender” our success for the sake of my father’s livelihood. Yes, it was hard. Yes, we were uncomfortable for a while. Yes, my pride was blown as I went from being the well-known, well-loved, leading minister of one town to being the untrusted new-guy in White County. Yet we don’t regret that decision one bit. My dad thanks me every time we have lunch together, whenever I’m repairing plumbing leaks, or when we stand outside to chat at the top of the handicap ramp we built on his house. Sacrifice. It’s a tough word, but it is essential that all members of a family become acquainted with it. In moments of sacrifice that we see the truest expressions of love. Whether it is sacrificing a dream car for your child’s hobby or sacrificing your dream lifestyle for your aging parents’ livelihood, your sacrificial acts build a relationship bond with others that are hard for any of life’s trials to break. What do you need to sacrifice? Could it be that you need to give up some time at the office to coach your kid’s sports team? Do you need to let go of a hobby for a time so that you and your wife can have date nights again? 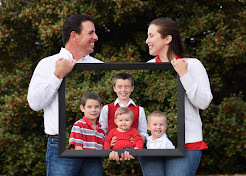 Are you willing to spend time in rehab to break an addiction that is tearing your family apart? Do you need to choose between your dream home and caring for your elderly parents who sacrificed so much for you? If so, I encourage you to sacrifice for the sake of someone else. Sacrifice for love. You’ll be glad you did. Epilogue: By God’s grace my dad has surpassed the neurologist’s predictions and over time has returned back to a normal lifestyle in his home. 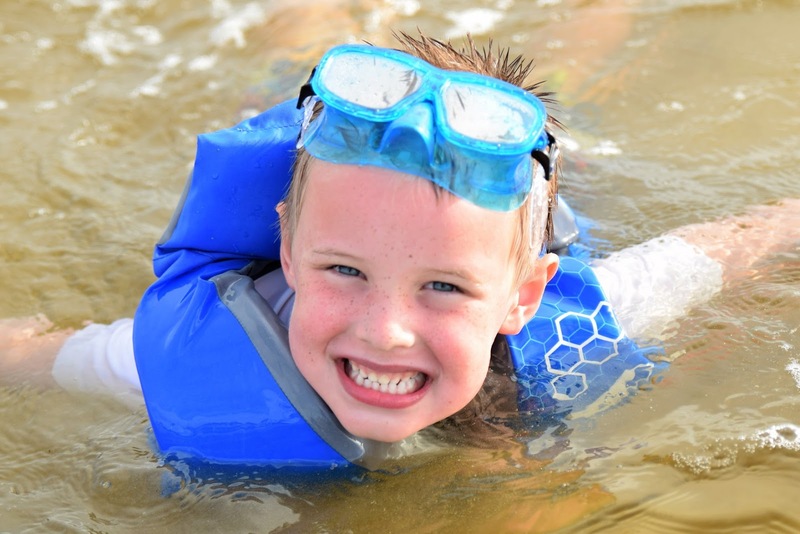 Our family is developing friendships through local sports teams, the homeschool co-op, and the YMCA. God has gifted me as I now find myself surrounded by good people and supporters through various servant-leadership opportunities in White County. Best of all, God has loved my family so dearly that we now feel right at home with the wonderful saints who worship with Central Church of Christ here in beautiful Sparta, TN. Character Coaches are a growing trend in the athletic world as an additional layer of support and resource for our players. Here is a video produced by the Upper Cumberland FCA in February of 2019 highlighting character coaching. I hope this video does three things for you. 1) Educates you to what an FCA Character Coach does for athletic teams. 2) Makes you smile because of these great kids from our church who share their story. 3) Causes you to give thanks to God for how God uses various members of our church. I admit, I struggle with focus. No, I’m not talking about the fact that my eyes now need a higher prescription contact lens (these things come with turning 40 right?). By my focus struggle I’m referring to my difficulty in giving my priorities adequate time and attention. Too often in life I find myself chasing white rabbits down tiny holes even though I don’t care anything for rabbits and I feel anxiety attacks in tight spaces. In other words, I have to invest brain power to purposefully redirect my attention to what matters most. I also know, I’m not alone in this struggle. Welcome, mere mortal, to the human struggle. Just as Dug the dog got distracted at the thought of a “Squirrel” in Pixar’s Up, so you and I are daily doing battle with forces that distract us from our priorities. Yet, even mere mortals have weapons we can use as we go on the offensive against the distractions that wage war against us. While there are many books written on the subject, let me just give you a rare dad moment of triumph to illustrate one weapon in our focus-finding arsenal. 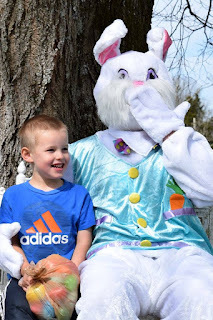 The moment ended with Micah, my energetic 5 year old, sweating, breathing heavy, and beaming a wide smile for hours. The moment began on Saturday morning with me in a whirlwind frenzy getting ready for the day’s adventures. Coaching a double-header basketball game in Cookeville was the start of the day. I knew I had a meeting with a church member at lunch, a couple items to fix at the house, and a 5pm kayak rolling class back in Cookeville. Combine that packed schedule with my meeting filled agenda from the previous Tuesday to Friday and I realized I hadn’t spent any time with Micah since Monday. Yes, in five days, I really only saw my son in passing. Let’s get back to that childish beaming wide smile. The only thing I really did to achieve that sincere broad grin that is blazoned in my memory was simply this. I put away all distractions. For one hour on that Saturday, I turned off my cell-phone, agreed with my wife that repairs could wait, then engaged in an hour of jovial focused frolicking with a boy who wanted nothing more from his dad. Our time at S. Carter Street Park in Sparta was awesome. Micah squealed with joy as we played tag all through the play equipment. He laughed as his small frame ducked under the bridges while my aging body had to run around to catch him. He giggled as he zipped down slides with me tumbling after him. He hugged me hard when I finally, sweaty and out of breath, touched his shoulder, yelling, “Tag, you’re it!” For an hour, we played whatever Micah wanted. We ran the trails, threw sticks off the bridge into the Calfkiller River, and bounced from one piece of play equipment to the other. The best moment may have been when Micah kept shouting “Faster Daddy!” as I spun him on the single seat twisty pole in the middle of the playground. I’m surprised he didn’t lose his lunch from all the laughing, sweating, and spinning he was doing. It wasn’t until a little five year old girl named Bella joined us that I realized how powerful a distraction-free focused moment can be. The playground was full of beautiful fun-loving kids like Bella. The playground was also surrounded with parents on benches thumbing through their cell phones, distracted from the beautiful opportunity that lay in front of them. Bella, like other kids, began joining in on my play with Micah. They jumped in on tag, rushed down slides, and giggled their way to fun with us. It was when Bella asked me to help her on the zipline-ish apparatus that her dad on the bench finally took notice. Moments later, my heart was glad as he too had put away his distractions and was frolicking on the playground with his little girl. If a satellite could make a heat map based on the glowing hearts of people that day, then S. Carter Street Park would have surely been the brightest spot on the map that hour as several teens, parents, and precious children all joined in the raucous play. There is power in distraction-free focus on your priorities. I admit, I struggle with focus. No, I’m not talking about the fact that my eyes now need a higher prescription contact lens (these things come with turning 40 right?). By my focus struggle I’m referring to my difficulty in giving my priorities adequate time and attention. Yet, I can tell you that even a mere mortal like me can battle back against the distractions of the human experience and enjoy the blessings that a corrected focus brings. It doesn’t matter your age, gender, race, or ability, you too can start correcting your focus. Begin with simply identifying where your priorities lie in life. Then, make a purposeful decision to put away all distractions until your priority is clear in your view … and get ready for smiles that follow. As always, let us know if we can lovingly help you correct your focus.